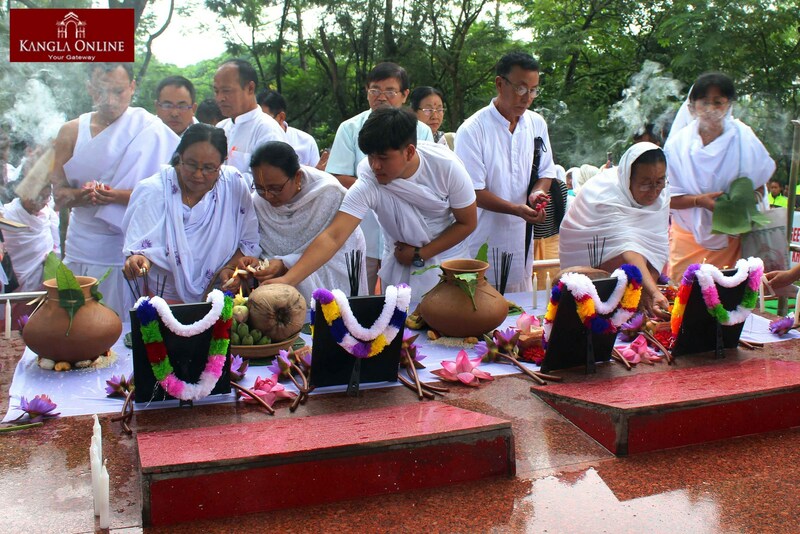 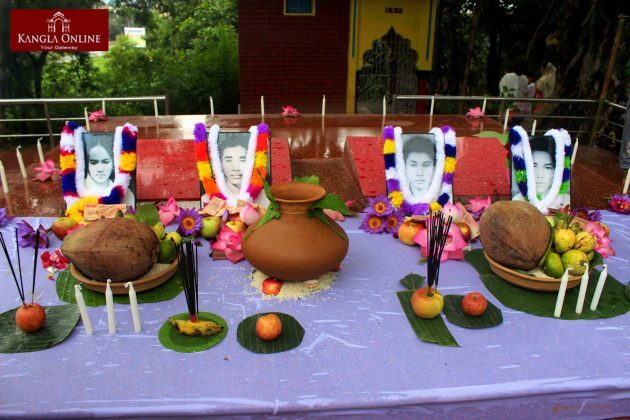 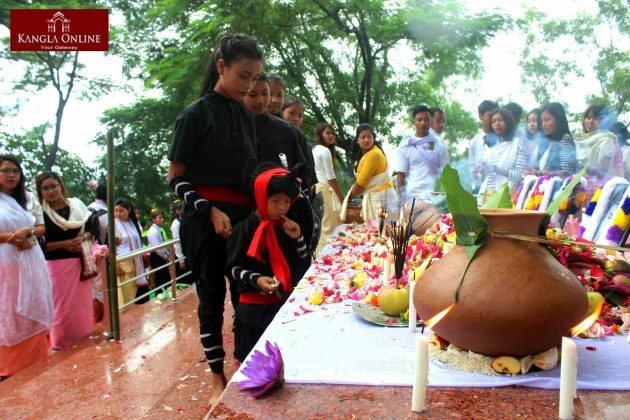 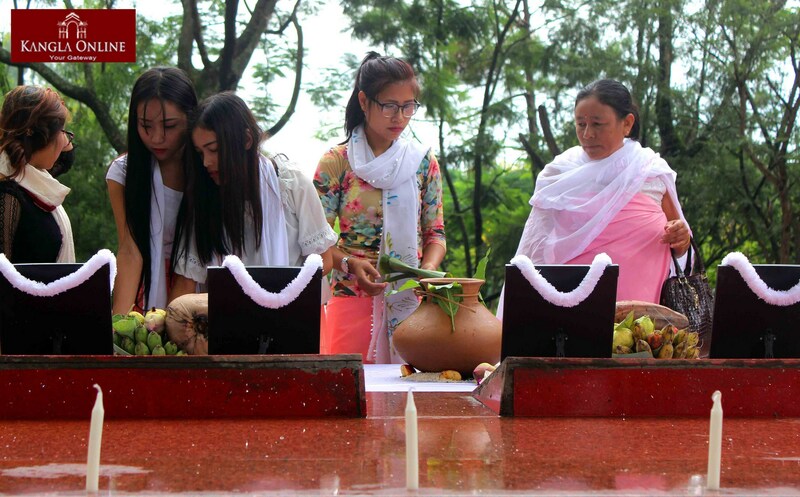 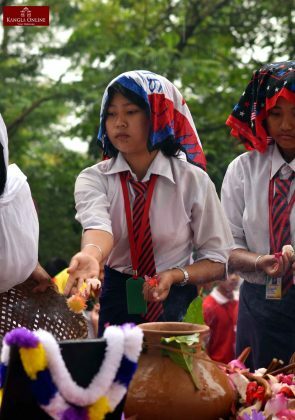 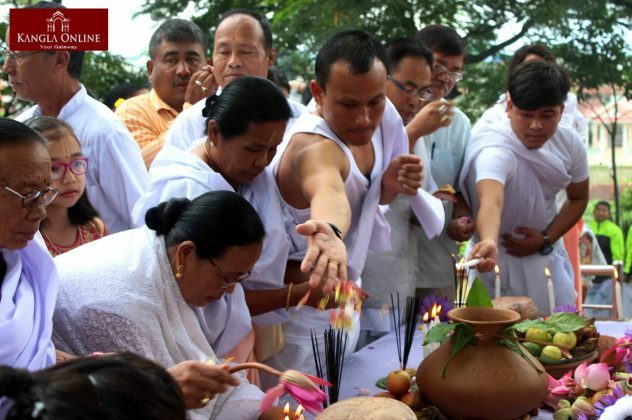 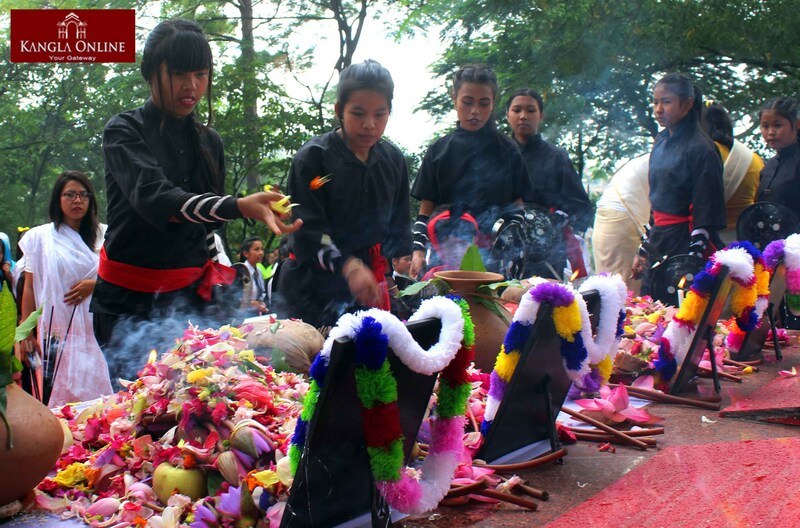 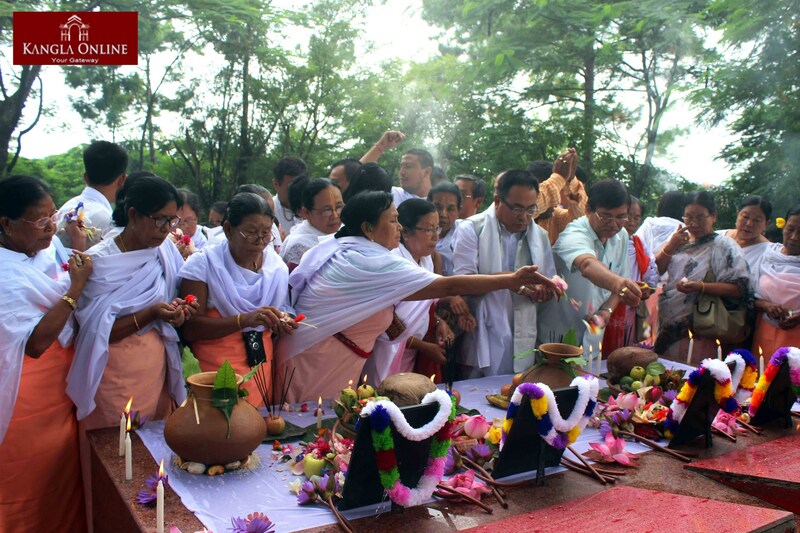 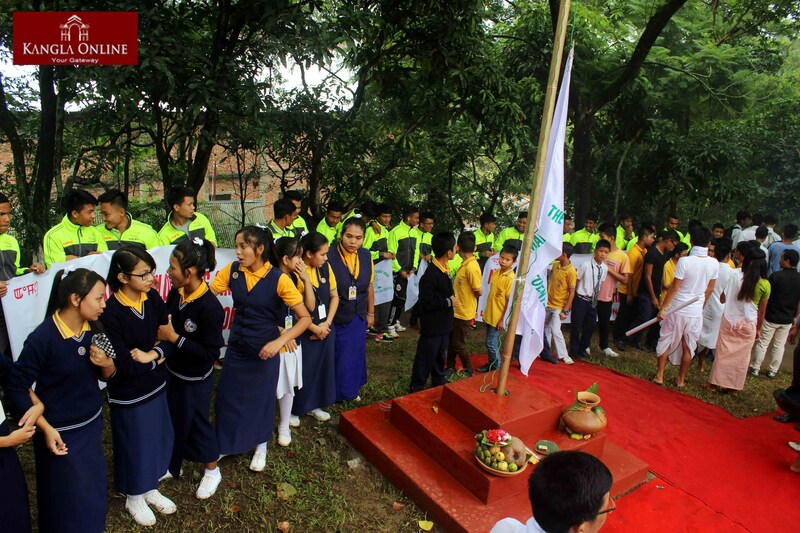 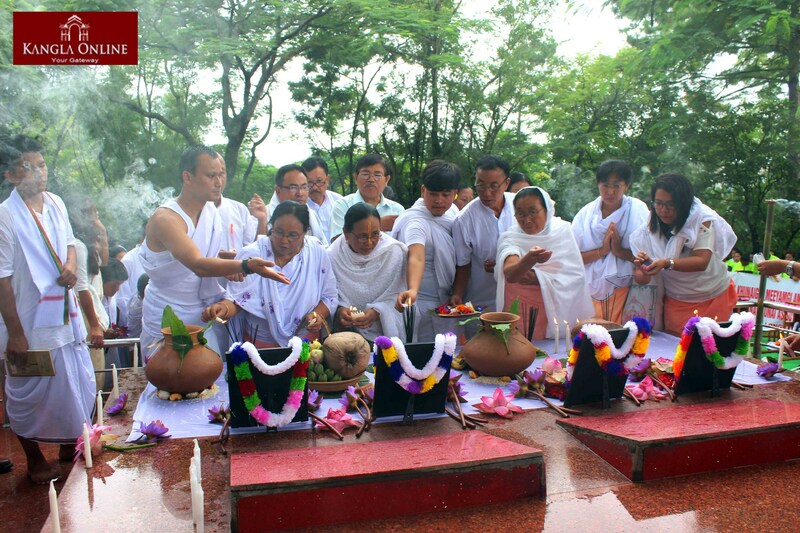 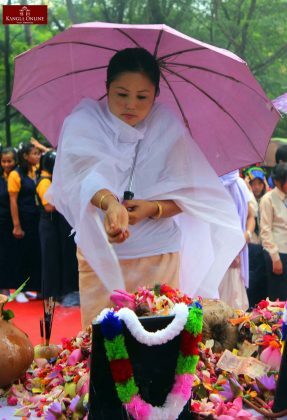 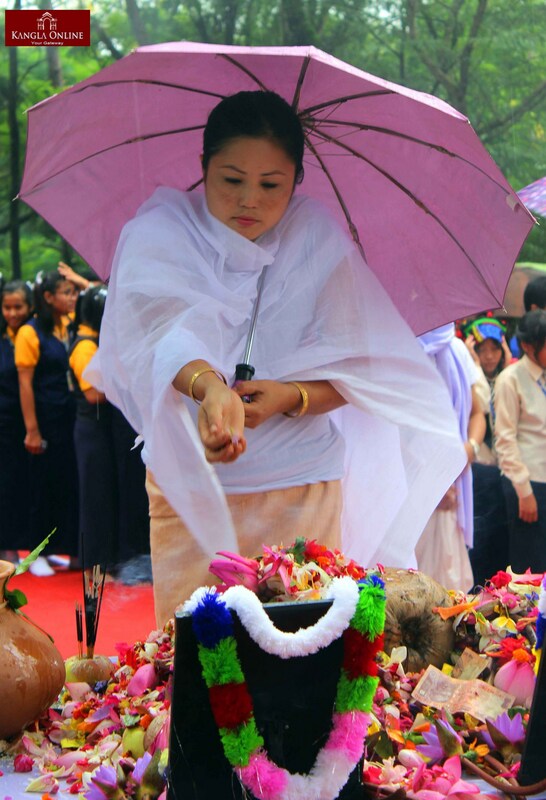 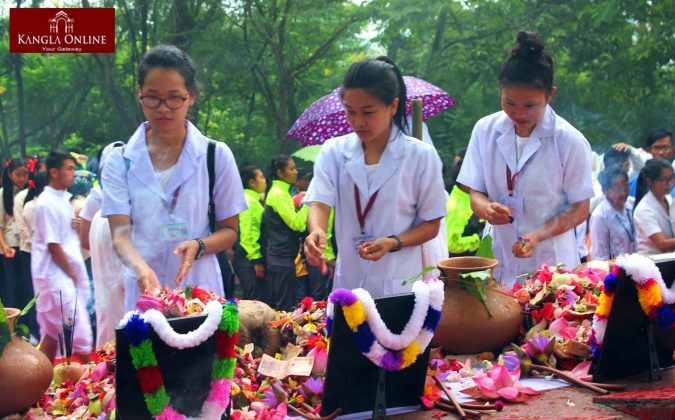 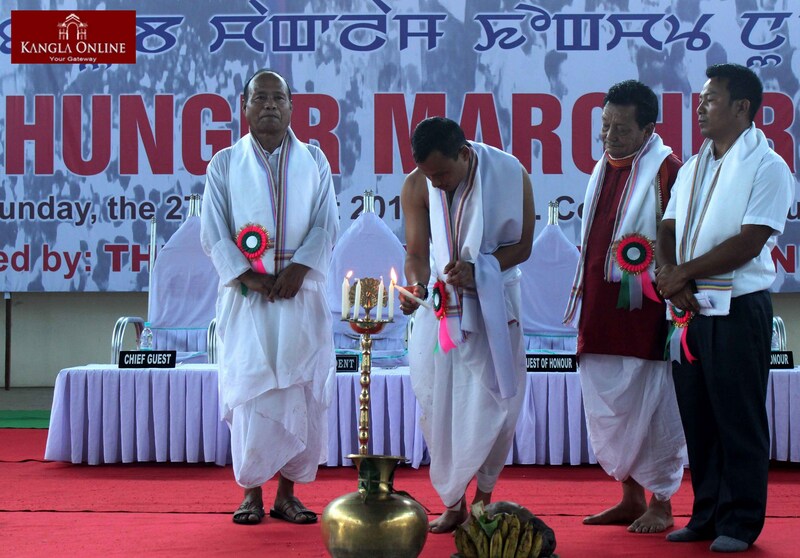 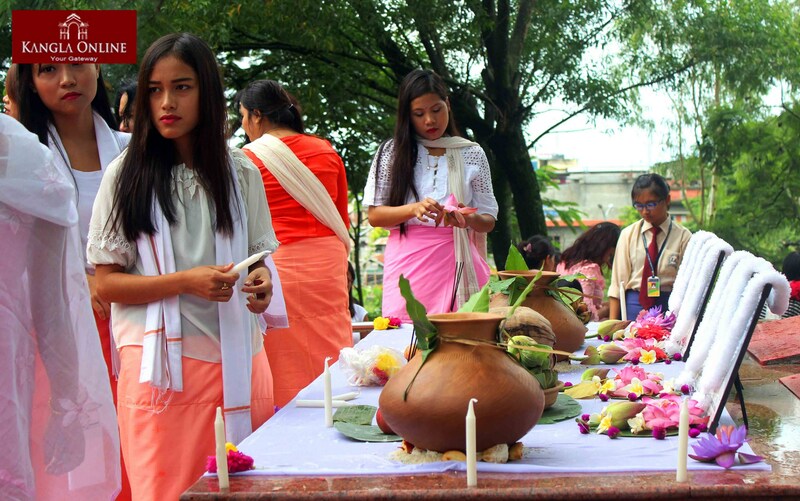 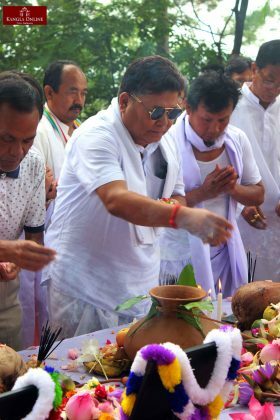 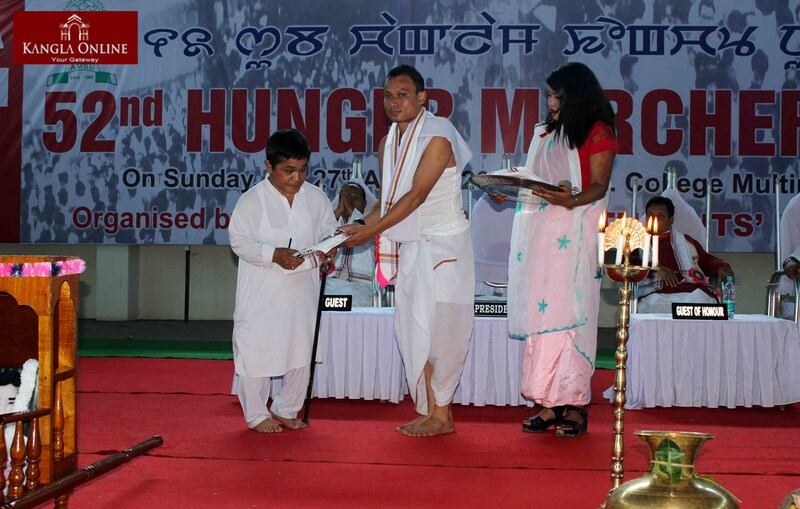 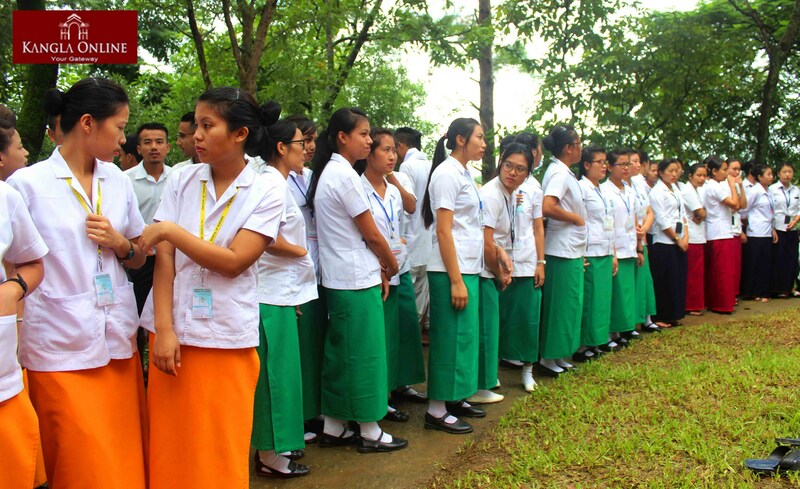 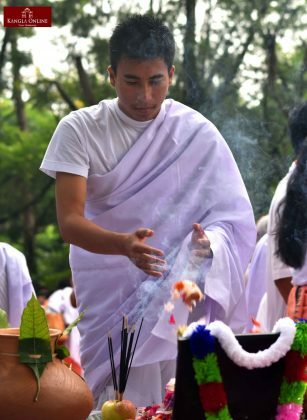 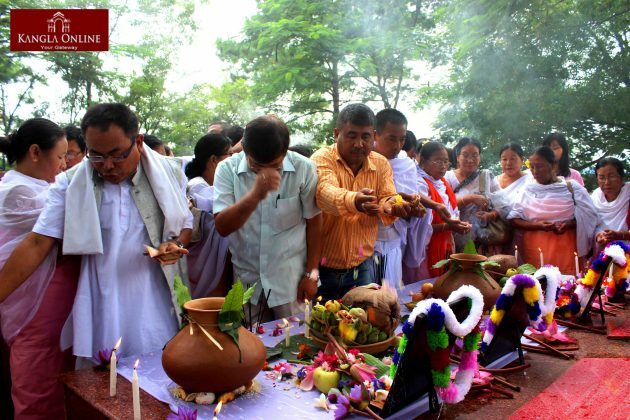 Befitting tribute paid to the student martyrs on 52nd Hunger Marchers’ Day (Chaklam Khongchat). 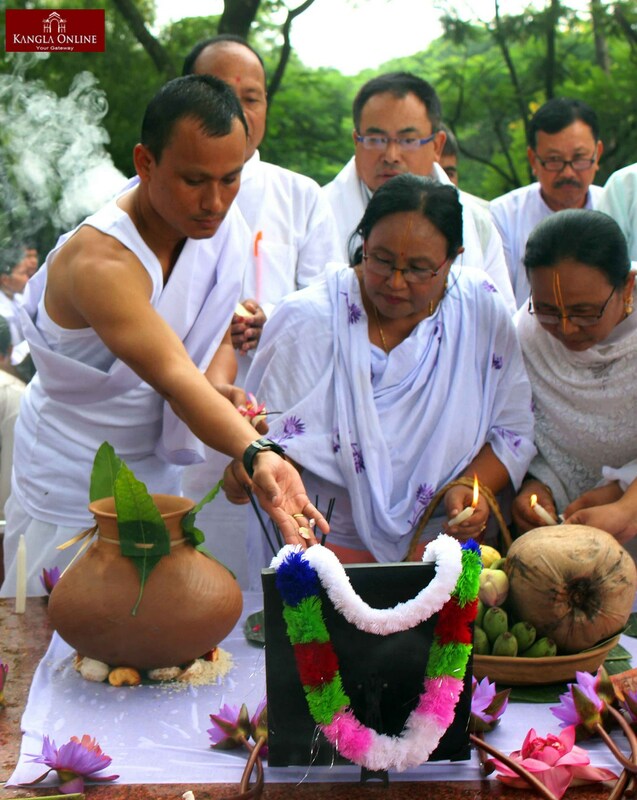 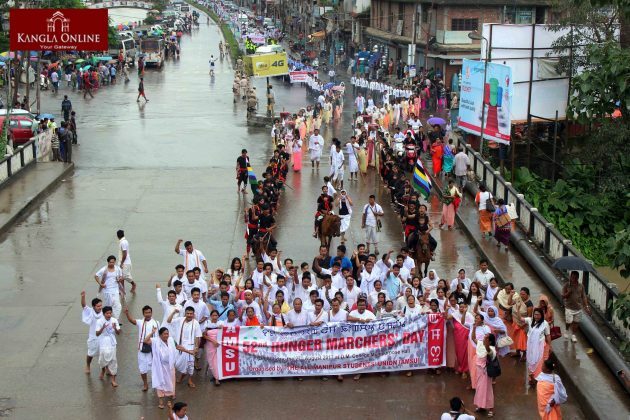 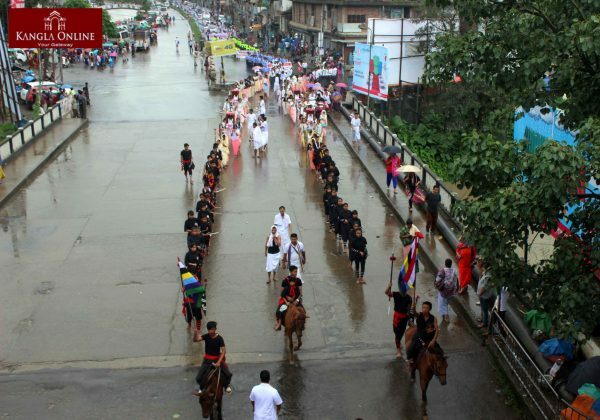 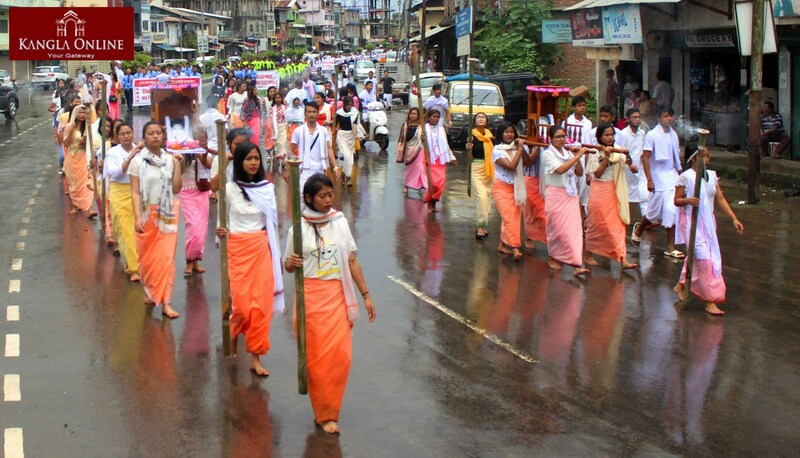 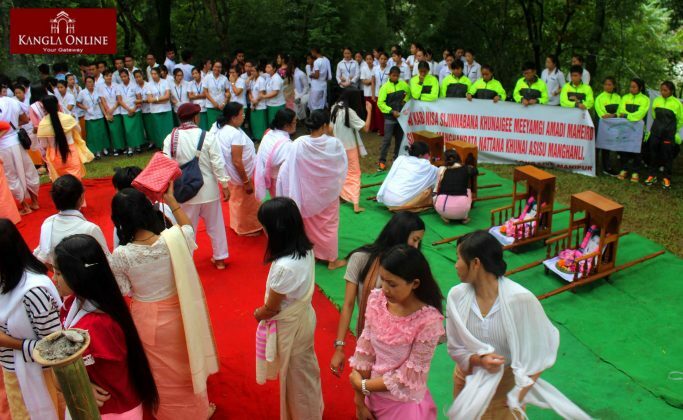 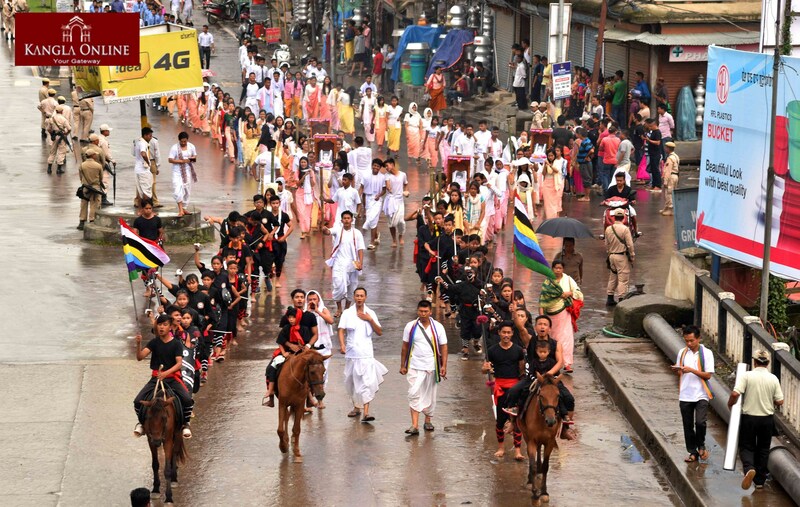 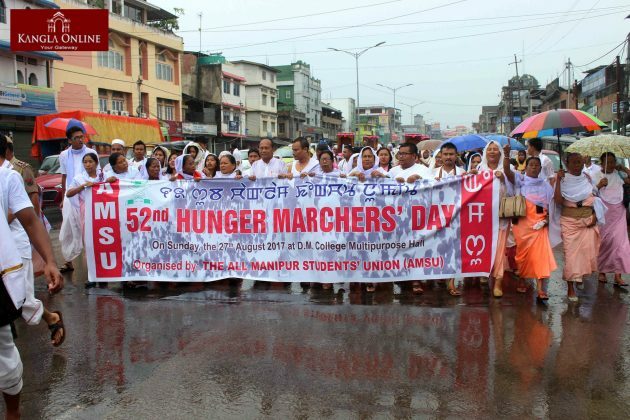 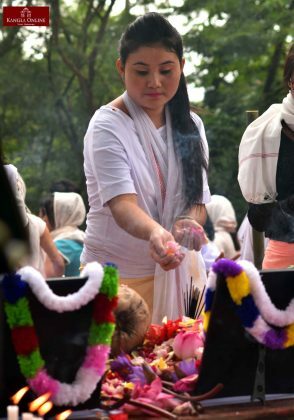 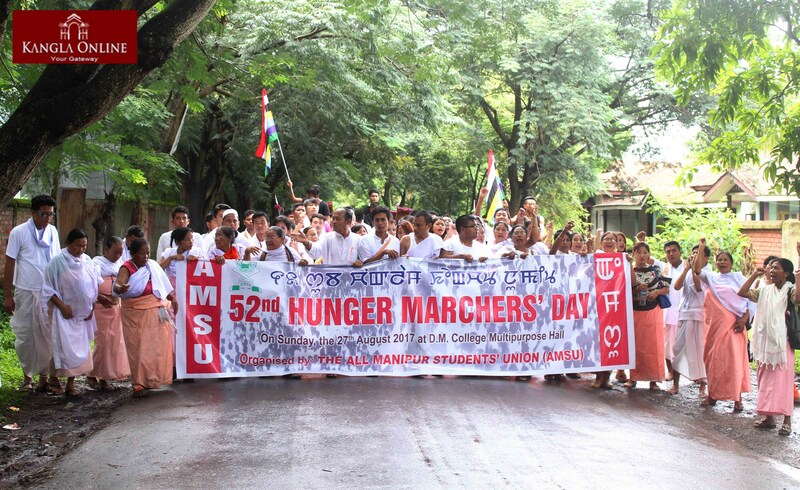 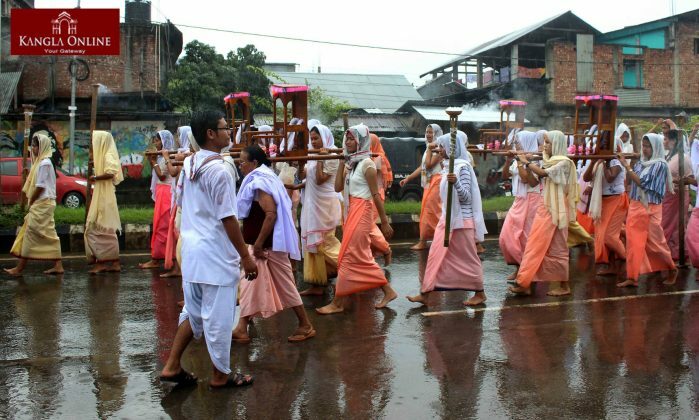 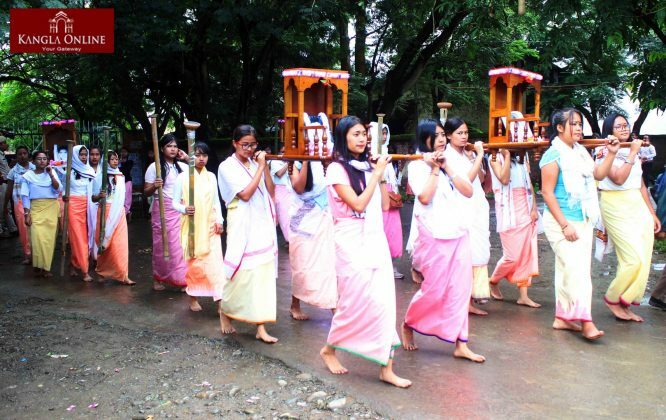 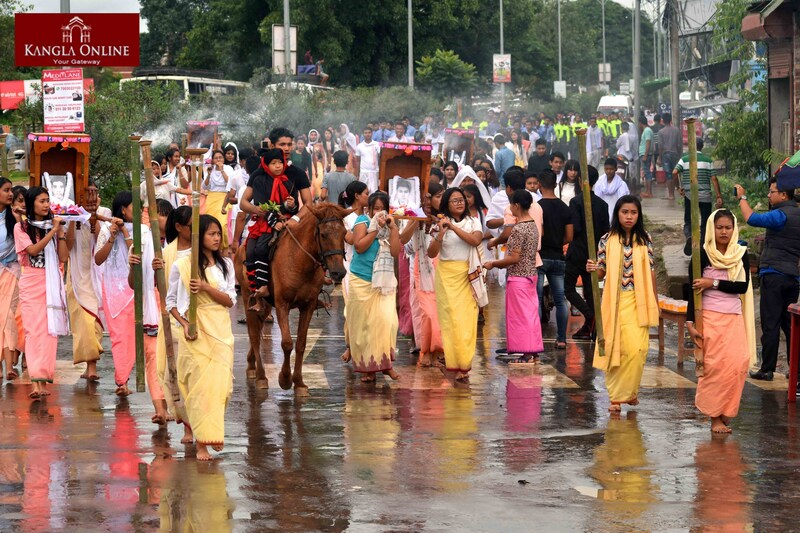 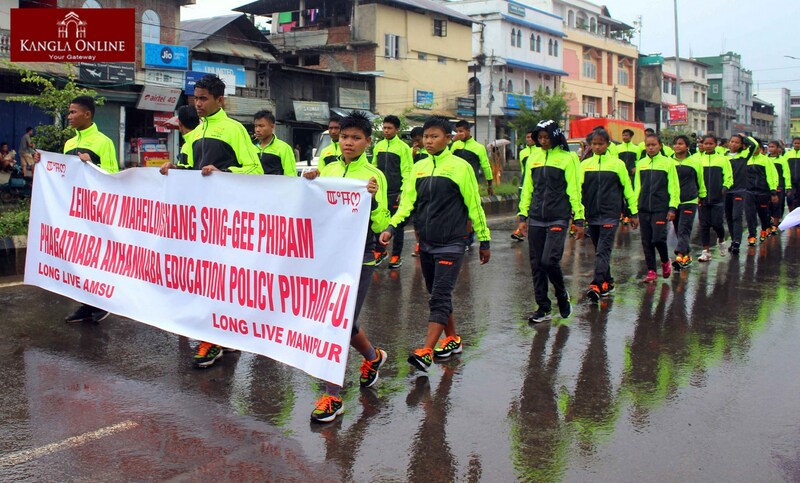 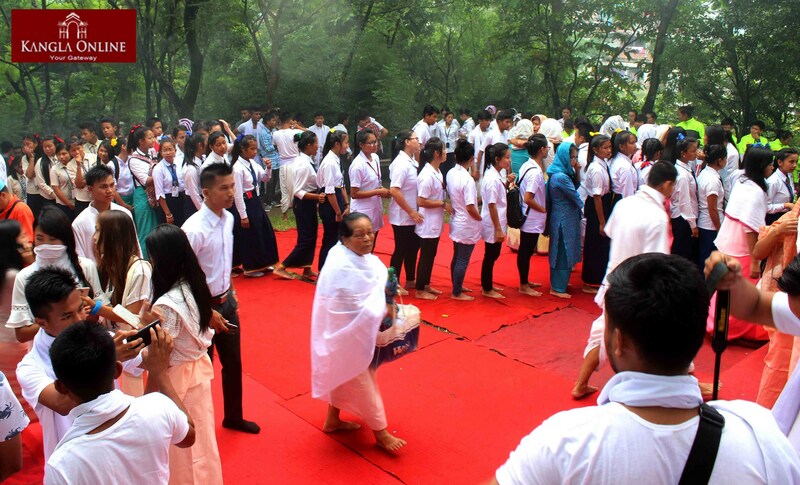 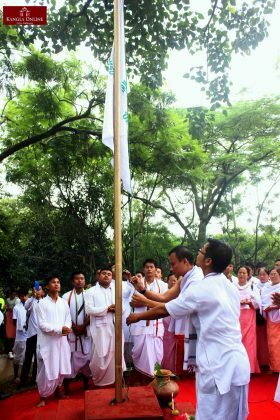 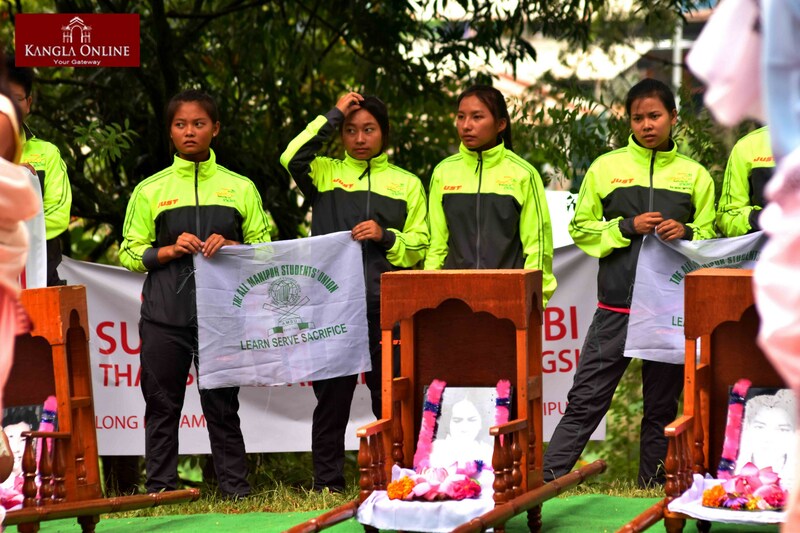 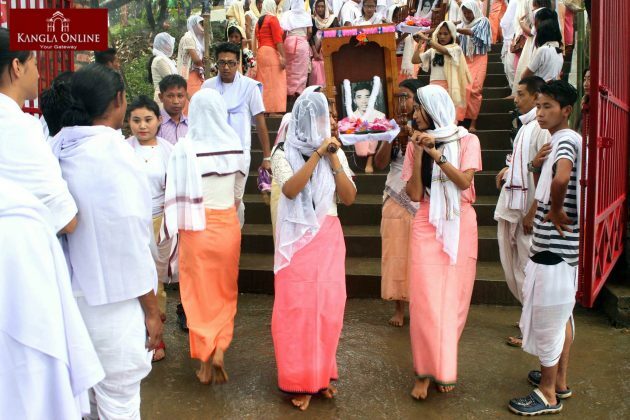 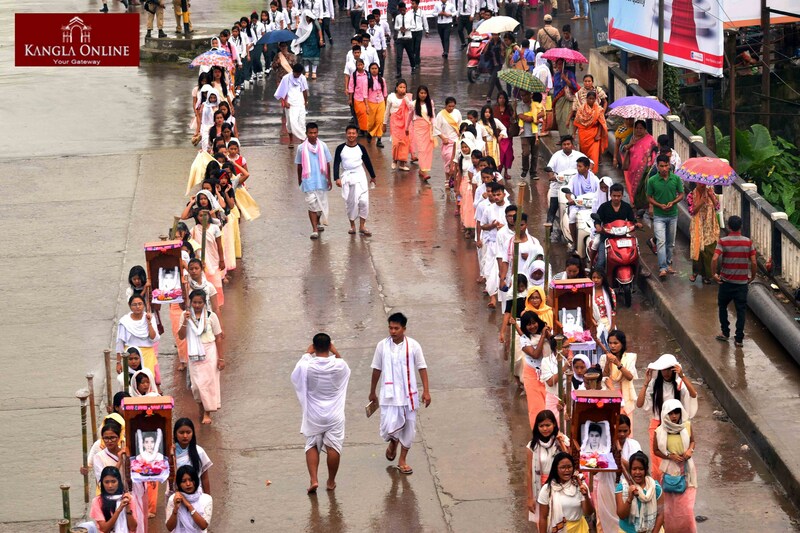 Despite heavy rain, 52nd Hunger Marchers’ Day (Chaklam Khongchat Numit) was observed under the aegis of All Manipur Students’ Union (AMSU) on August 27, 2017. The observance function began with the hoisting the flag of the students’ body by its president Manjit Saragthem at the student martyrs’ complex at Pishum Chingamacha. Large number of people including family members of the departed souls, relatives, well wishers and students paid floral tributes to the portraits of the students’ martyrs at its memorial complex. 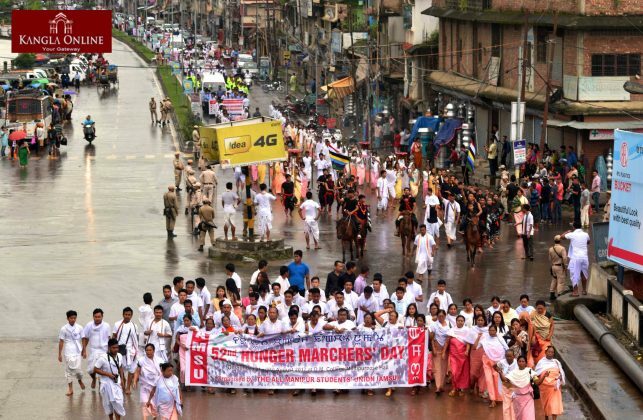 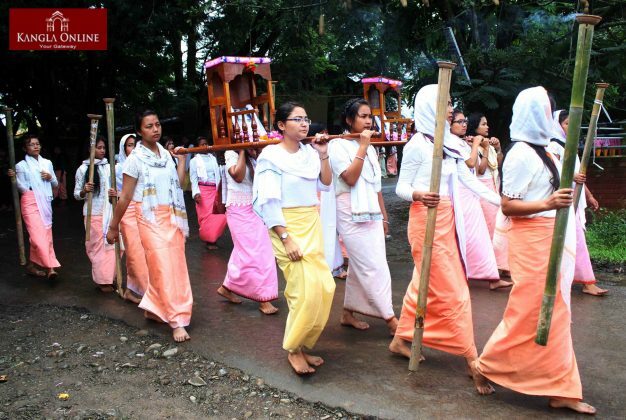 To mark the day, the students’ body organised a mass rally which was participated by over 1000s of students begins from Pishum Chingamacha and then proceeded towards Indo-Myanmar road. Later the rally snakes through Keishamthong Bridge, Keishampat, Wahangbam Leikai, Nagamapal, Khuyathong, Thangmeiband and later concluded at DM College campus. 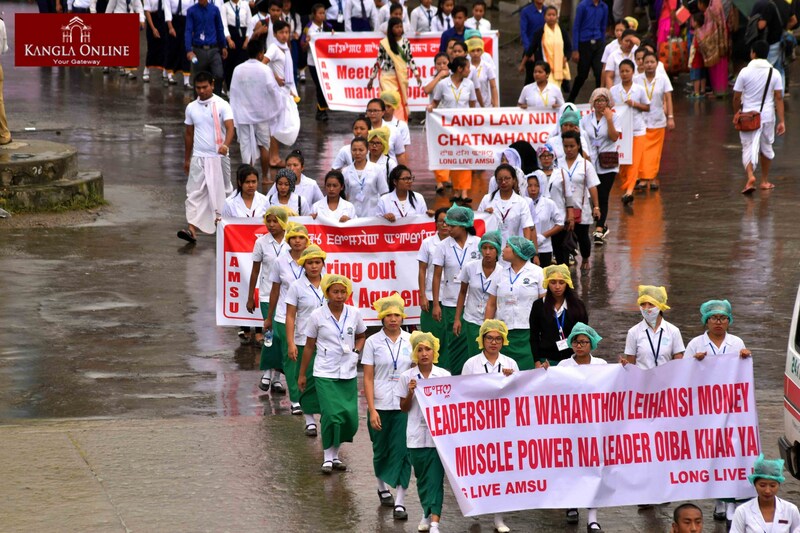 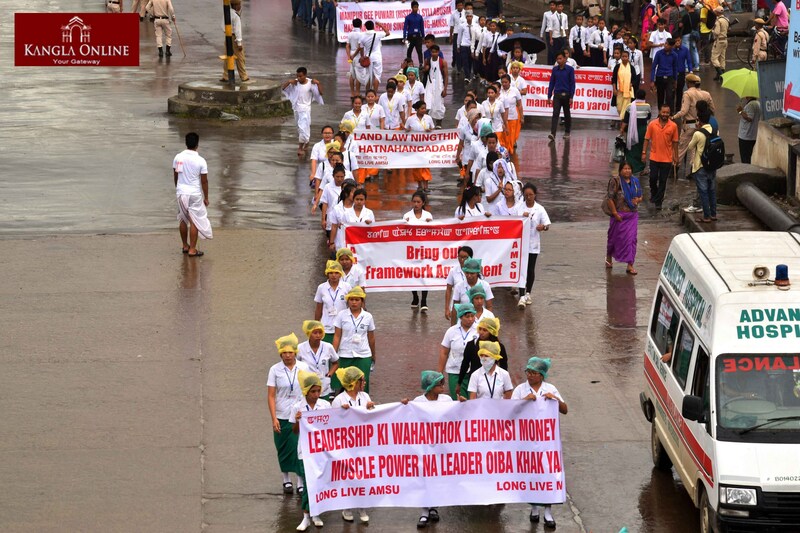 Slogans demanding removal of AFSPA, abolition of inhuman draconian laws, control of price for essential commodities and non-governance by non-manipuri people in the state were carried during the mass rally. 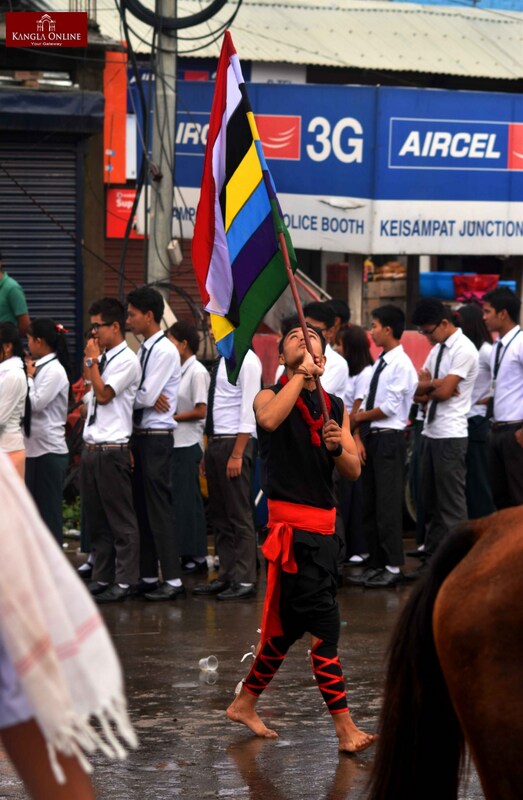 Strong police forces were deployed to prevent any untoward incidents. 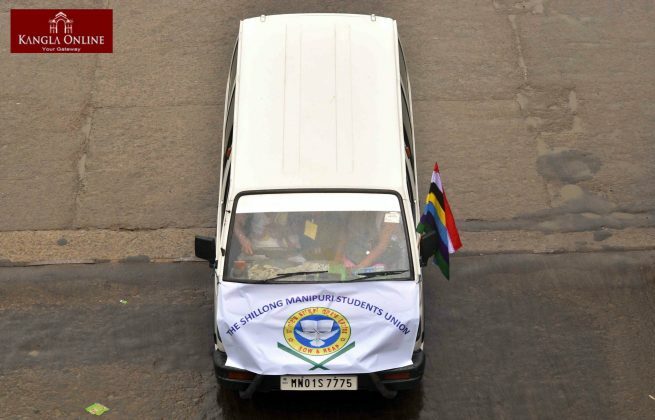 Traffic police halted vehicular movement along the routes of the rally to ensure smooth marching while pedestrians and locals supported the march by offering drinking water to the marchers. A public meeting was also held as a part of the observance function which was presided by Manjit Sarangthem, President of AMSU; Ningthoujam Brojendro Singh, Former President of AMSU; A Manishana, Former President of AMSU and Shungsat Khongsai, Former Secretary General of AMSU as President, Chief Guest and Guests of Honour respectively. 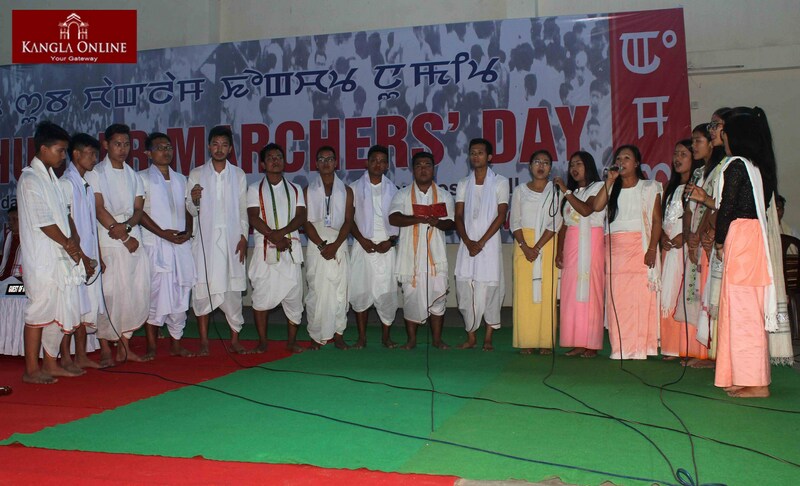 Various civil society organisations and students’ body also took part in the public meeting which was held at DM College Multipurpose Hall, Imphal. 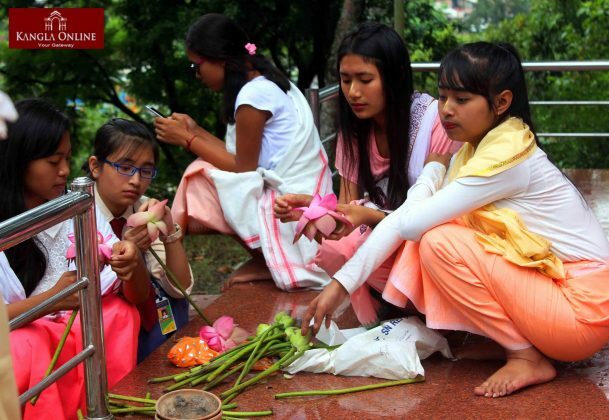 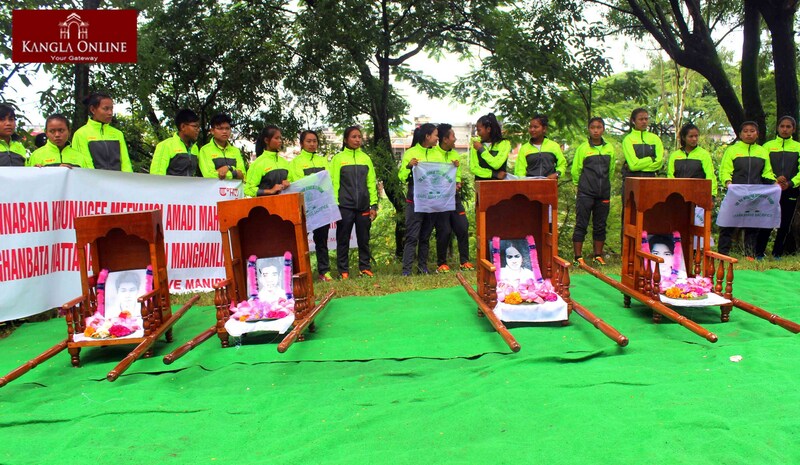 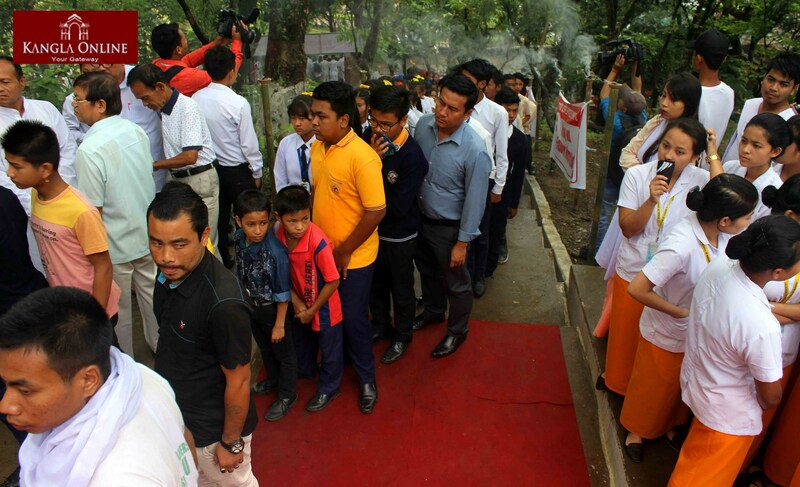 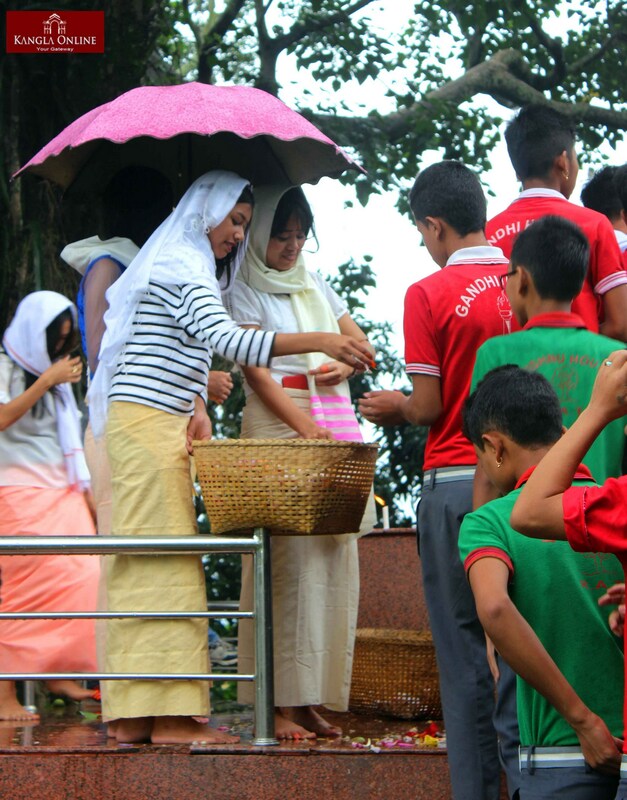 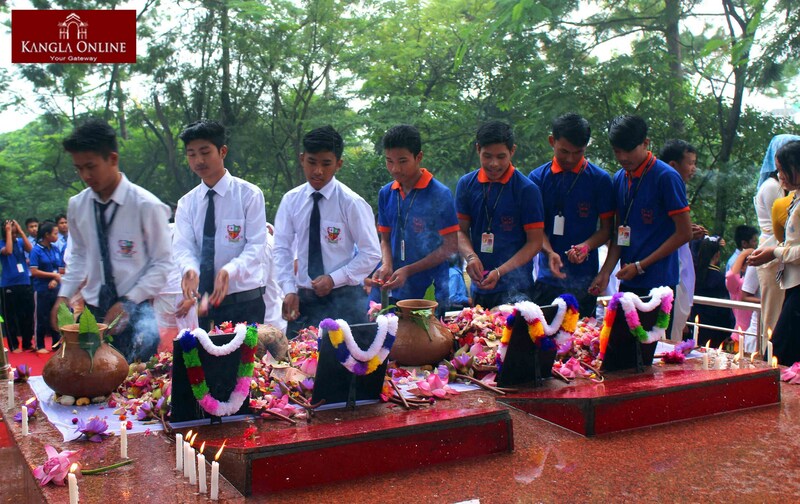 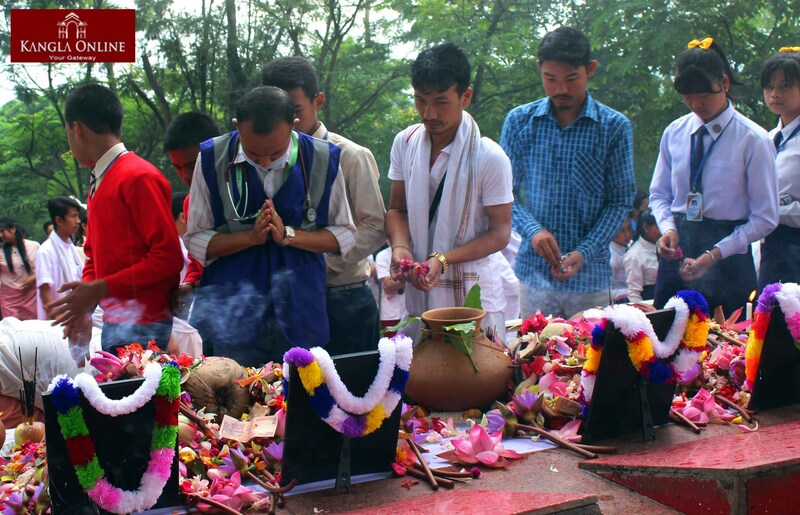 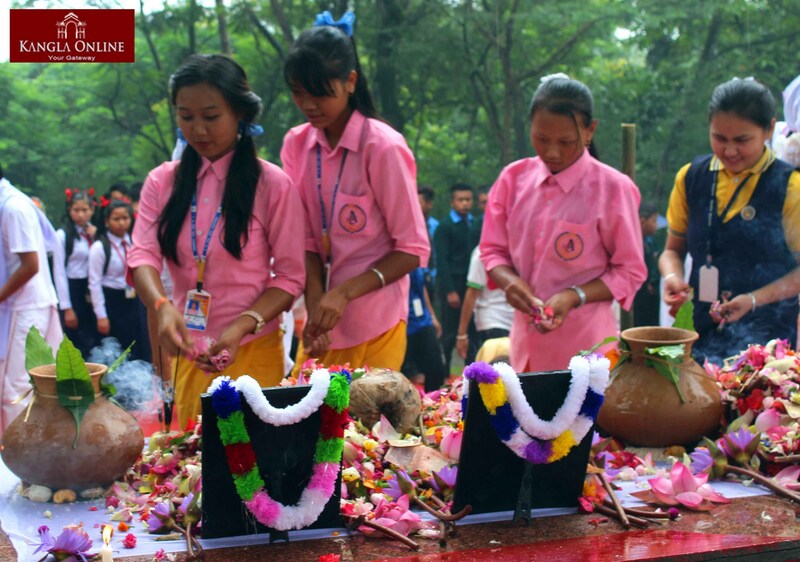 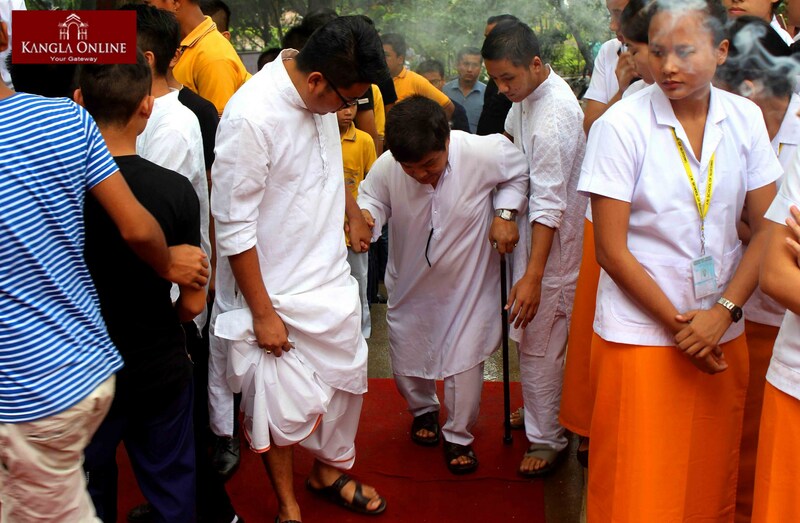 Paying respect to the students’ martyrs, the students’ body handed mementos to the deceased family members. 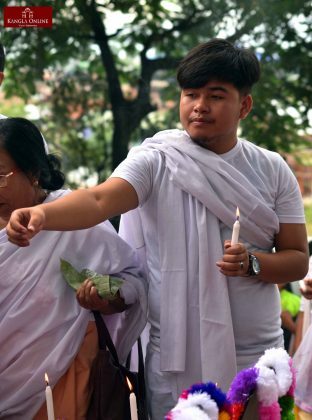 Mention may be that fifty-one years from today, i.e. 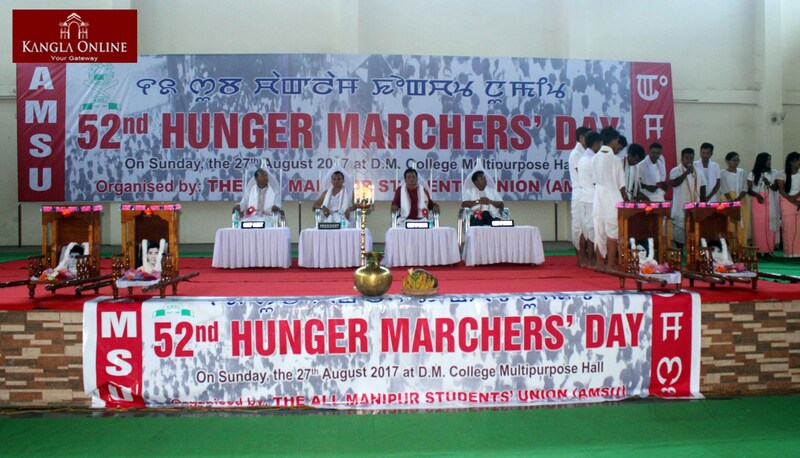 on August 27, 1965 large number of students upraised against then authority of the state government who had created artificial famine. 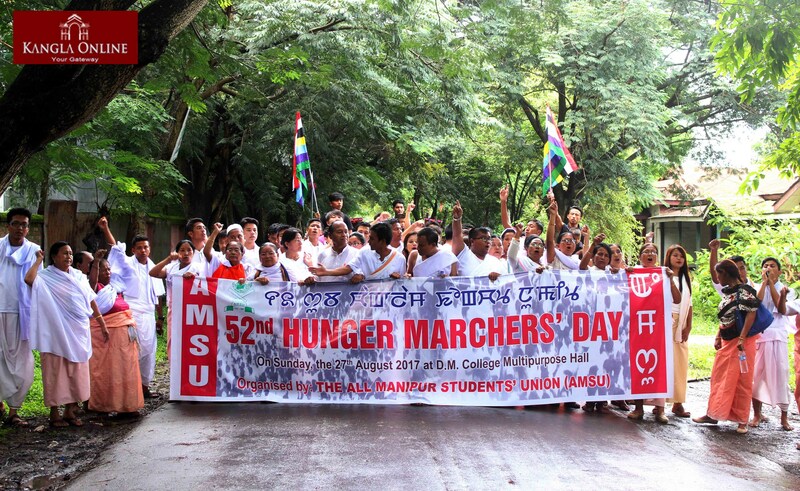 In the uprising, the student protestors were brutally charged and inhumanly assaulted. 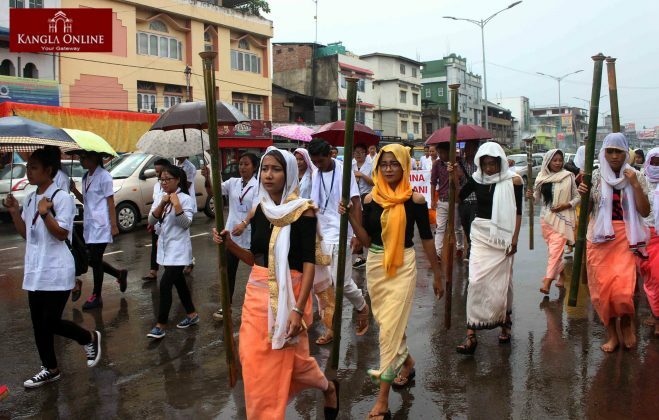 In the state security forces action 4 protestors namely Promodini, Chaobal, Nabakumar and Nilamani were killed inside the compound of the then Chief Commissioner of Manipur and several other student protesters were left with serious injury. 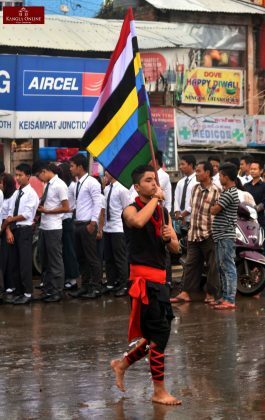 To commemorate the day, students from all over the state upraised against the then government authority demanding their rights, the All Manipur Students’ Union (AMSU) which was borne following the uproar of the masses has been observing the day till today.